Through the Johannesburg Child Welfare Society, Crowie Projects sponsors the Masibambisane Day Care Center which is a "drop in" centre for orphaned children living in the Kliptown/Eldorado Park area. Situated in Molofo South, Soweto, Othandweni, meaning 'Place of Love', offers residential care for children of all ages who have been abused, abandoned or neglected. This learning centre provides Information Technology facilities and tutoring to the community. Formed to support previously disadvantaged individuals with a passion for cricket, the Delfos Cricket Club provides training and support to young, talented and aspiring cricketers. Youth In Action based at Inanda consists of youth who are not schooling, unemployed and schooling who lack opportunities to advance their lives in the world of information, and formed themselves into a group in order to access some of these needs and to work in collective as they face the same daily livelihoods. Youth in Action in KwaMashu, Ntuzuma and Inanda is doing fantastic work around entrepreneurship, safety from crime, recreation, natural environment and performance arts. With a strong commitment of developing our youth, Crowie Projects supports the Touch Life Centre which rescues and find homes for abandoned children. As part of Crowie Holdings Group Corporate Social Investment Programme, Crowie Projects have engaged with the Habitat for Humanity to support them in their Build a House programme. 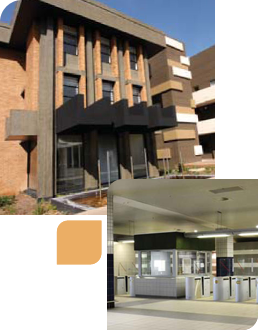 Crowie Projects participates by actual building of homes of those that are less fortunate.